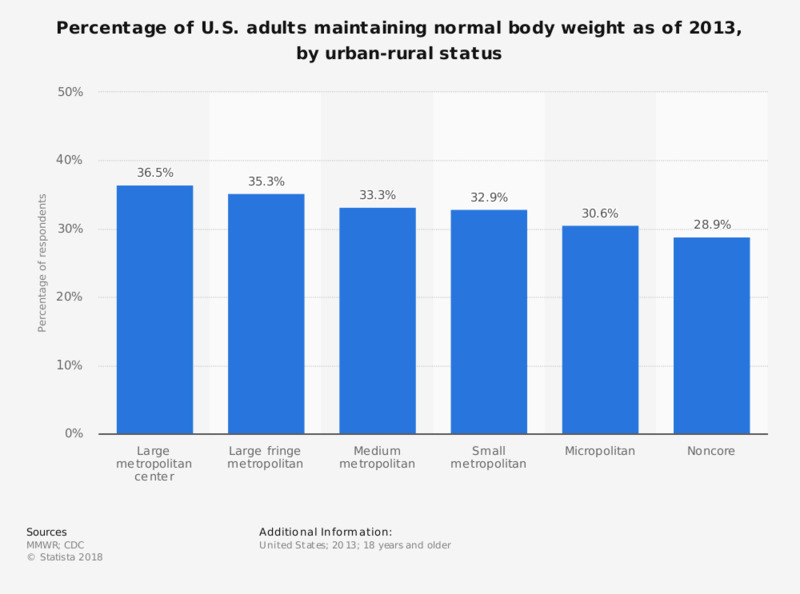 This statistic depicts the percentage of U.S. survey respondents that indicated that they had maintained normal body weight in 2013, by urban-rural status. According to the results, among participants in large metropolitan centers, 36.5 percent had maintained normal body weight. How many times, if at all, have you ever been on a diet?